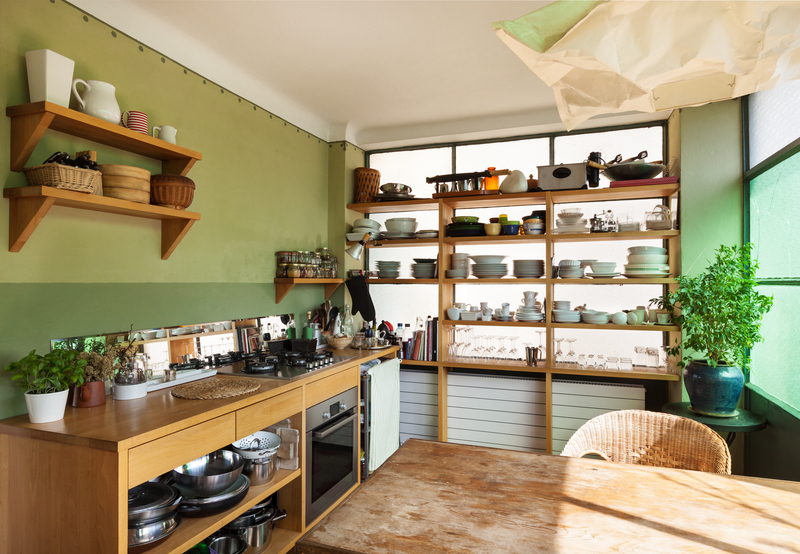 Open shelving can deliver artistic flair to any kitchen while making guests feel at home. 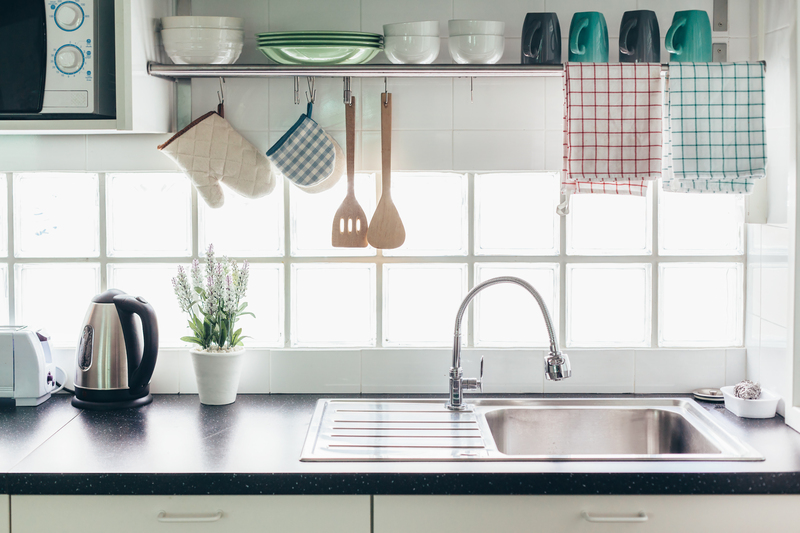 Like the concept of open shelving but not sure how to arrange your dishes or pantry items without creating a hodgepodge mess? Skillfully style open shelves and door-less cabinets with these 10 ideas. Stash most often-used items on the lower shelves where they are always within reach. 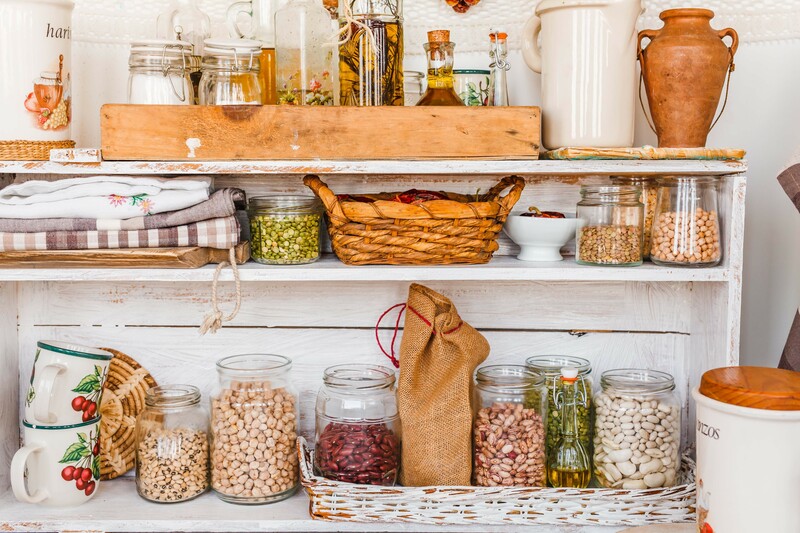 If you choose to go all out and use open shelving for food, arrange items like pasta, grains, and spices in clear containers to incorporate visually appealing color and textures. Sprinkle in bold color with pottery and ceramics. If you have plain white walls and are looking for a little more drama consider making the walls that house the shelves an accent wall by painting them. Or incorporate “texture” with adhesive peel-and- stick wall panels that seem amazingly real. You can add the look of reclaimed wood, mid-century modern walnut, brick, and tile. 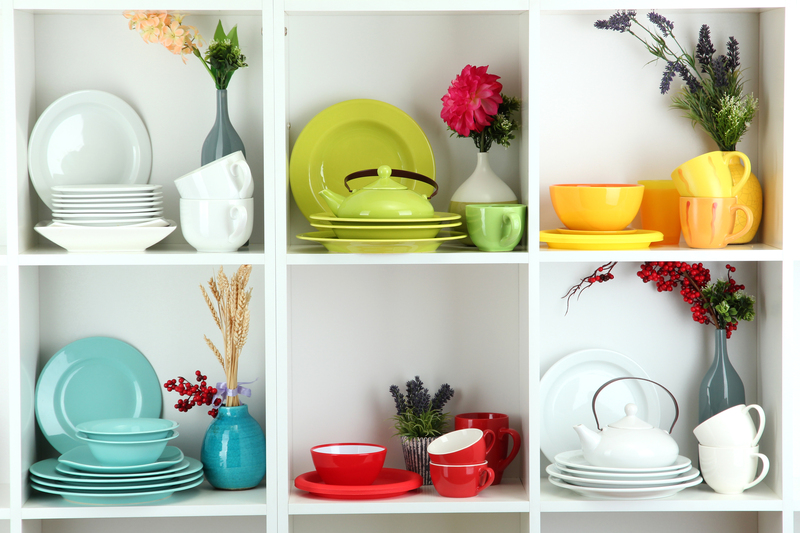 If you have a variety of colored dishes, use one color for each shelf or divided area as shown here to display your favorite pieces. Greenery and flowers contribute warmth and vertical interest. Lean some of the plates to break up the stacked plates and cups arrangement. Reserving the top shelf for a set of identical canisters or other common goods gives the eyes a rest, especially in a tight space. Another option is to put one large piece on the top shelf to create a “white space,” giving the illusion of a larger sense of space. 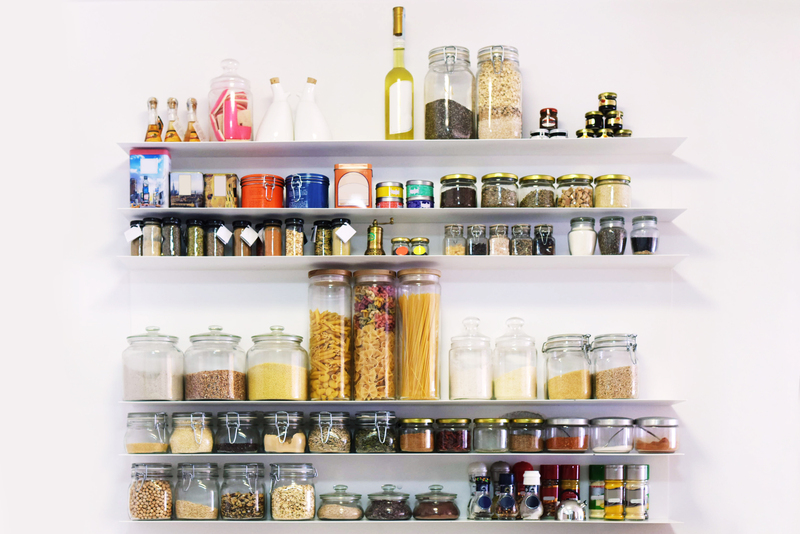 The variety of food ingredients could easily create a sense of clutter rather than cohesiveness. But done right and the arrangement is pleasing to the eye, because of the commonality of the mason jars and the color of the pantry ingredients. The wooden serving utensils, box, and wicker coordinate perfectly with the darker-colored ingredients in the glass jars. The addition of a few select pieces in a solid color, like the white pitchers here, allow a clean break among the shelf’s colors and textures. A shelf in an otherwise unused space is handy for coffee cups and cereal bowls. Colorful mugs and bowls liven up a stark background. 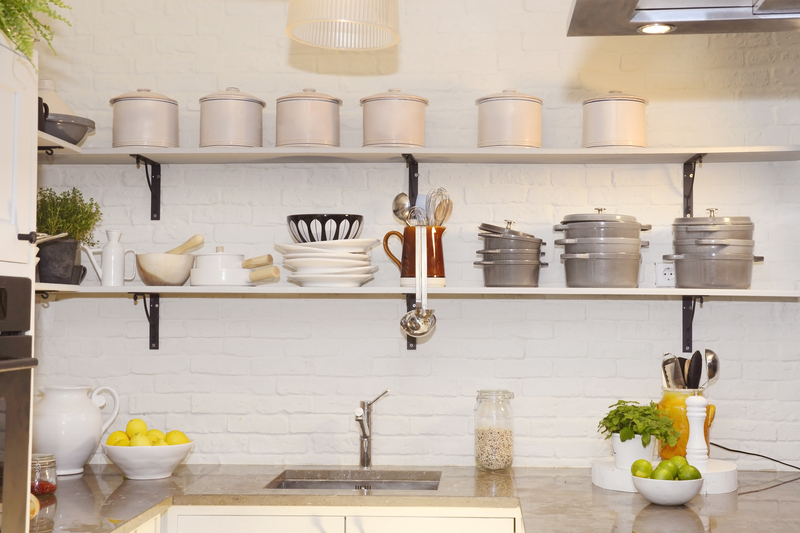 A chrome shelf rack with S-hooks affords easy access to regularly used items. Coordinating linens and oven mitts tie in with the dishware on the shelf. A monochromatic color scheme need not appear cold or boring. Use your tone-on-tone collection by arranging the pieces in a variety of shapes, sizes, patterns, and textures. When stacking items use odd and even numbers to avoid monotony. Introduce milk glass, clear glass, or metal elements sparingly to stay with the tone-on-tone style. Rustic charm exudes from this hodgepodge of kitchenware and pantry ingredients. You simply can’t turn away as your eyes move from shelf to shelf. A warm and homey color scheme pairs nicely with the use of wooden and wicker trays. Fabrics and burlap contribute softness, and cherished heirlooms personalize the space. 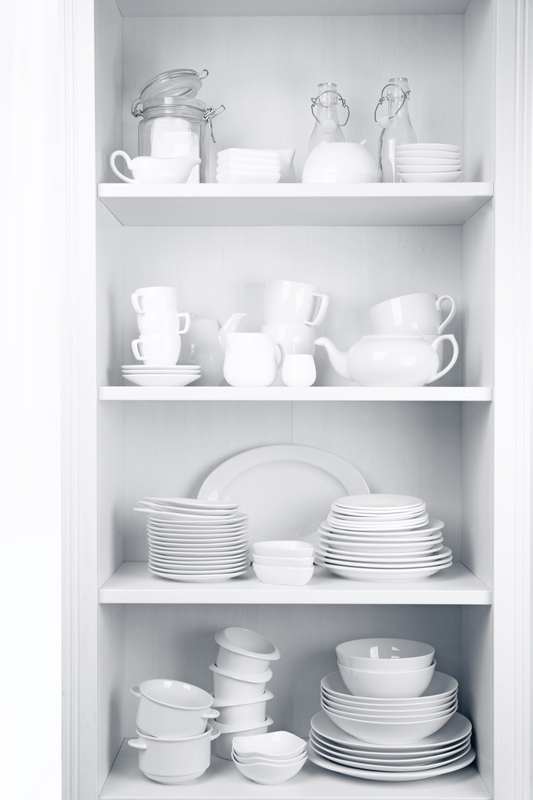 If the idea of open shelving has piqued your interest, take the cabinet doors off one cupboard. Empty the contents and play around with the arrangement. 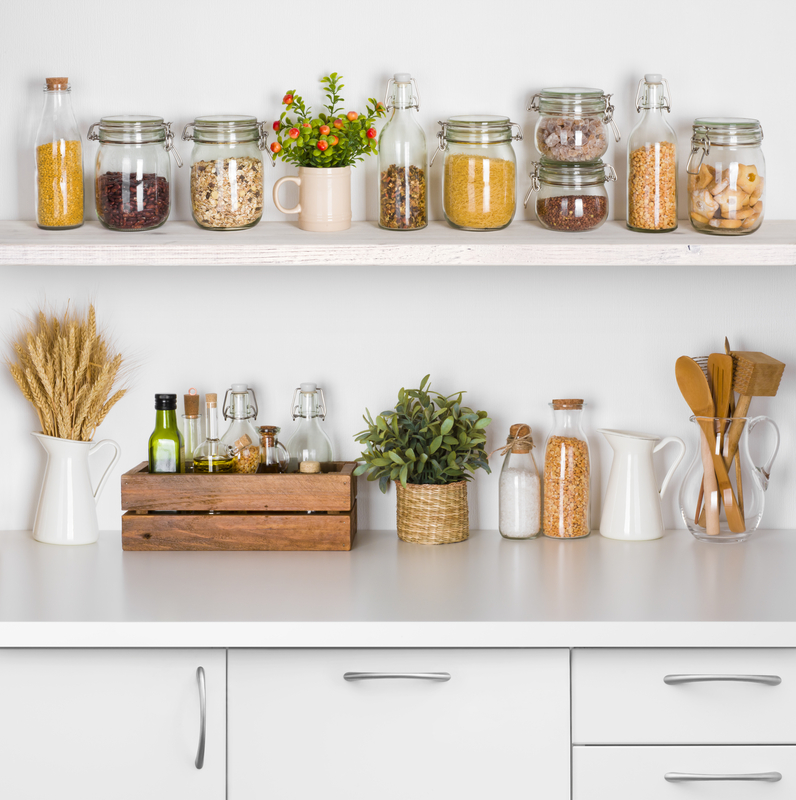 Perhaps you’ll want just one or two spaces for open shelving in your kitchen like this one to add interest or display your favorite canisters or family heirlooms. Open and closed storage balances out this spacious Firenza kitchen beautifully. 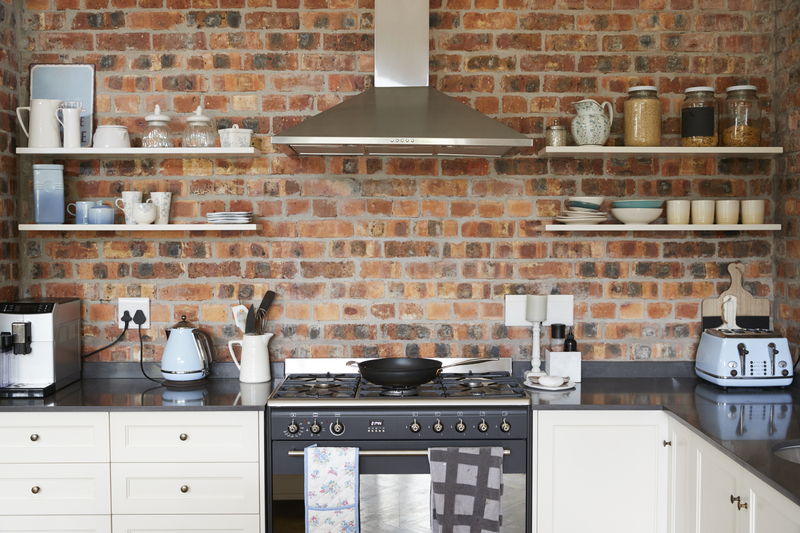 The use of open shelving is a great way to store your kitchen essentials while incorporating your personal style. But they’re also warm and welcoming, especially if you entertain often. The shelves invite guests to grab their own mug or wine glass without feeling sheepish about going through your cupboards. Before starting any project, House Tipster readers are always invited to become their own interior designer by experimenting with styles and furnishings in our 3D Virtual Rooms! This online design tool is perfect for testing out design ideas and finding the best look for any room!